South Philadelphian Lew Massey was born Louis Masuacci on this day in 1907. Massey fought from 1927-1938 and finished his career with a record of 81-34-8 (14 KOs). 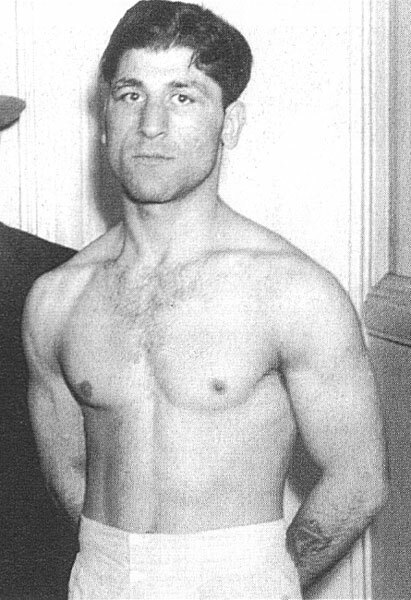 Over the years, he fought many big names including Henry Armstrong, Tony Canzoneri, Red Cochrane, Midget Wolgast, Harry Blitman, Johnny Jaddick, Eddie Cool, Tony Falco, Tommy Cross, Tony Morgano, Johnny Jadick, Bud Taylor, Tommy Cross and Tippy Larkin. Lew beat many of of these ring standouts. Massey was a longtime contender in both the featherweight, jr. lightweight and lightweight divisions. In 1930, Massey split two non-title 10 rounders with world featherweight champion Bat Battalino at the Arena in West Philadelphia. A year later, Massey faced Benny Bass for the world jr. lightweight championship, but lost the decision. He never again vied for the title, despite campaigning for another nine years. Massey was inducted into the Pennsylvania Boxing Hall of Fame in 1975 (see PA HOF). Lew Massey died on July 29, 1993 at the age of 86.